Can you really make money by trading Binary Options? The answer is YES, you can really make serious money through legit Binary Options brokers found on the internet today. Sadly, Bitmex.com isn’t one of those websites since they do not offer binary options trading; but for people that still want to make money using Bitmex.com, read through the review and we might give you ideas on other alternatives that can be done in order to earn money with the available services they have. 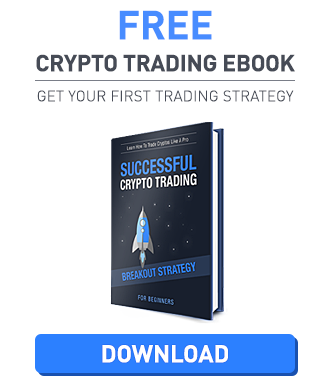 Why do we review Bitmex on a Binary Options site? Because Bitmex is one of the most sophisticated Crypto Trading Platforms and offers high Leverage Trading, similar to Binary Option Platforms. Apart from that, it offers way more options for professional traders to control their risk and to express their individual trading strategy. Without further delay, let’s talk about that! Bitcoin Mercantile Exchange or better known as BitMEX is one of the largest and well-known trading platforms to date. With more than $30 billion worth of BTC traded since it was founded in 2014, they are clearly one of the giants in the industry. The website was founded by HDR Global Trading Ltd. and is based in Hong Kong. Unlike most of the exchange/trading websites today, BitMEX only accepts BTC deposits which will be discussed later in this review. First, we need to create an account with Bitmex.com to get to know their available services provided. Creating an account is done by registering with their website. To register an account, all you need to have is an active email address, country of residence, and your first and last name. Users need to keep in mind that it is important to provide a legitimate email address since a confirmation link will be sent to confirm the validity of the registration. Please be advised that Bitmex.com does not accept traders from the United States; some might bypass this by using VPN services but that is not advisable since issues with the account will definitely not be entertained. In addition, people that want to create an account with them should be at least 18 years of age. Generally, the website allows its registered customers to trade crypto against a number of Fiat currencies like USD, JPY, and CNY to name a few. BitMEX also supports the trade of crypto namely Bitcoin, Ethereum, Litecoin, Bitcoin Cash, Cardano, and Ripple. After successfully creating an account, users only need to click on “Trade” located on the upper left-hand side of the platform. This tab will bring up main trading platform wherein everything is easily located and displayed. The platform contains the recent trades, order slip, and order book at once. It also contains the value for the underlying asset bidding, the quantity of the orders made, the total value of all the orders in USD, and of course, both short and long found under the order slip. Upon successful trades, this can be viewed on the platform (found on the lower part of the page) where users will be able to see current positions, closed positions, active orders, stops, and of course, the order history. If a user wants to cancel an order, all they need to do is go on active orders, click on the order they want to cancel and click the “Cancel” button. Leverage – BitMEX, as mentioned earlier, does not offer any Binary Options trading but they do have a healthy leverage system that will easily help out a veteran trader that wants to make money. Just like any other websites out there, we do advise to keep out of leverage trading if you are an inexperienced trader that’s just starting out. Leverage gives the trader an ability to place orders that are bigger than their existing balance; which can lead to greater profits compared to trading straight from their own wallets. Trading with a leverage is called “Margin Trading” which the website provides by the use of a leverage slider. BitMEX.com enables the user to use the slider and choose up to 1:100 leverage! Compared to other exchange/trade websites their leverage provided isn’t this high. The trading platform itself is intuitive but unmistakably out-dated and old compared to some newer platforms today. But overall their available features keep up with up-to-date platform standards. The website provides support for mobile trading making it easier for traders that are always on the go. To access the deposit/withdrawal tab just click on “Account” and you will be redirected to the deposit page. As mentioned, the website only accepts BTC as a deposit option and once the deposit button is clicked, your multisignature Bitcoin deposit address will be provided. For withdrawal, everything is just basically the same thing. All you need to do is click withdraw and you will be asked to provide your personal wallet address and the amount you want to withdraw. The transaction fee is there which costs BTC 0.001 per request. 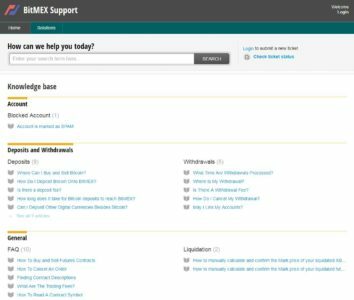 BitMEX.com provides a wide range of support that connects multiple channels. Customers will be able to contact their support through social media, email, and a ticketing system. It would have been better to have phone support but the provided options are good and decent enough. Aside from the support they also provide an informative knowledge base and FAQ’s to give their customers a chance to scan through them before asking for real help. 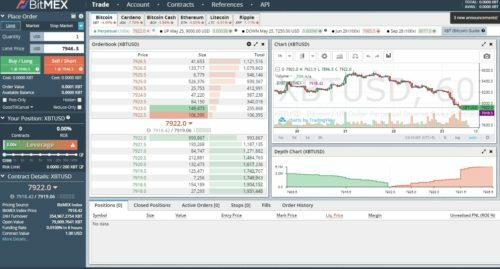 BitMEX is not a trading platform that was made for amateur traders and investors alike. The trading platform itself is not trivial and can be difficult to understand for people that are not experienced in the field. But with a little bit of practice, anyone can master their features and have no problem trading on the go. Overall, they provide a well-established experience, secure trading, and a high volume exchange for anyone that wants to flourish within the crypto trading world. If you are looking to improve your skills, trade something more sophisticated than binary options and benefit from a high leverage up to 100x – Bitmex.com is definitely the number one crypto platform for that. Take a look and give it a try with a small amount of money you can afford to lose in the worst case.